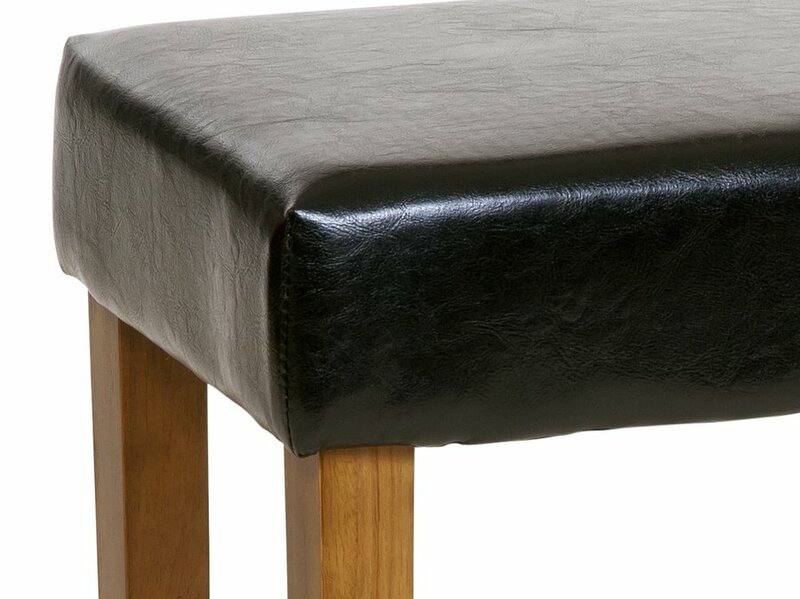 Comfortable padded dressing table stool with a simple design. Looks stunning with both traditional and modern dressing tables. 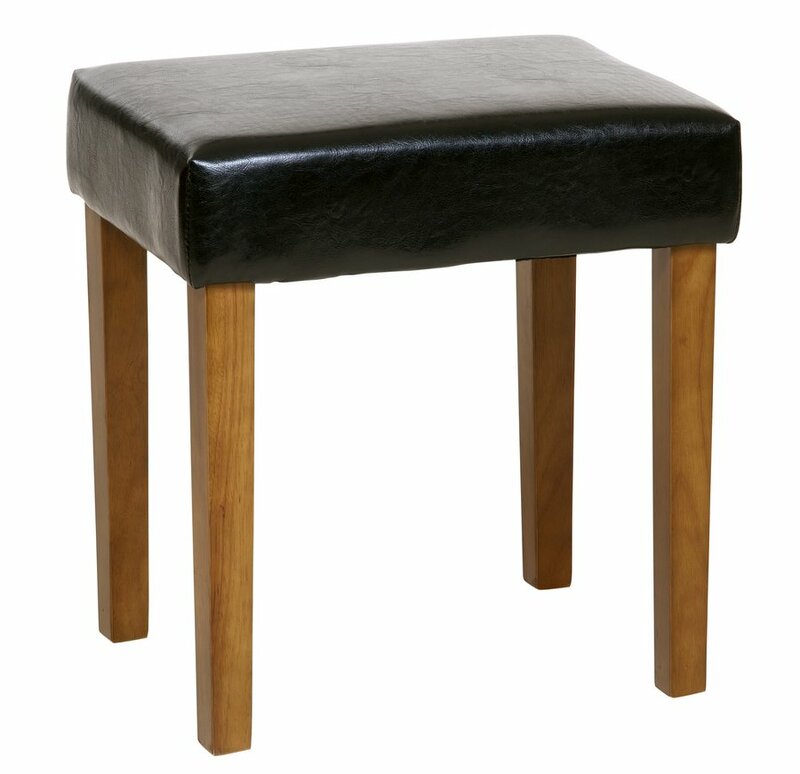 Great for use as an occasional stool in any room of your home. Quick and easy self assembly the legs need bolting on. Colour: Black seat. Medium wood legs. It typically takes one person 15 minutes to assemble the Cotswold dressing table stool. Delivered in one box with the measurements: H120 W455 D435 mm. Part of our collection of bedroom stools.